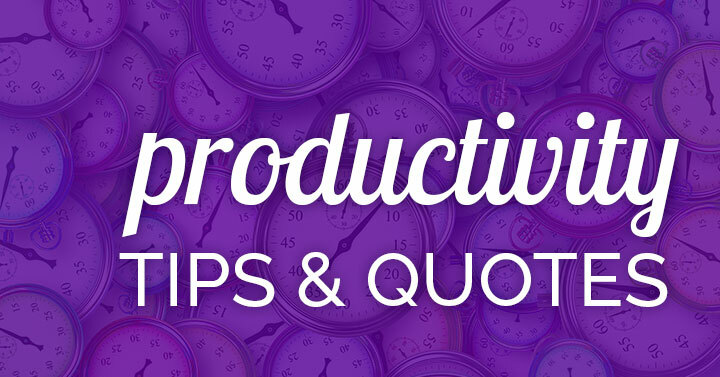 Try these productivity tips and quotes! Small business owners, bloggers, and entrepreneurs will love these. Focus on a couple that you need most right now! Pin an infographic and return later for more. 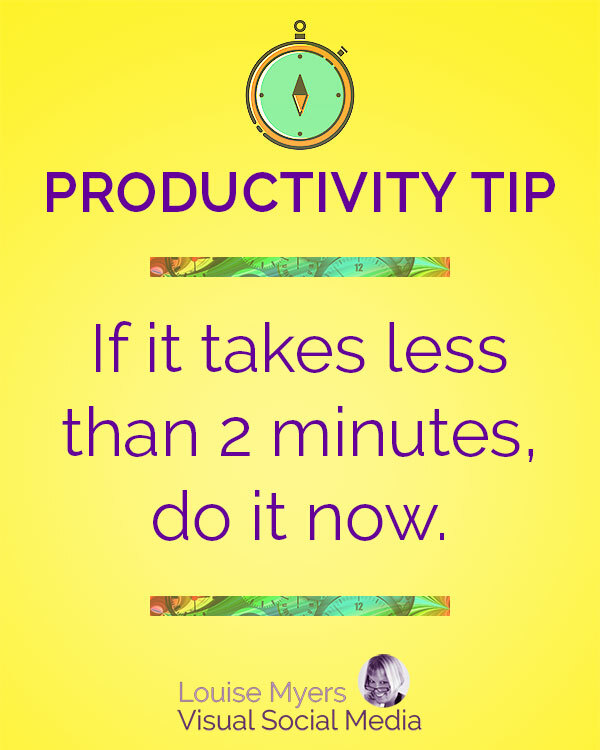 Ready to really nail this productivity thing? 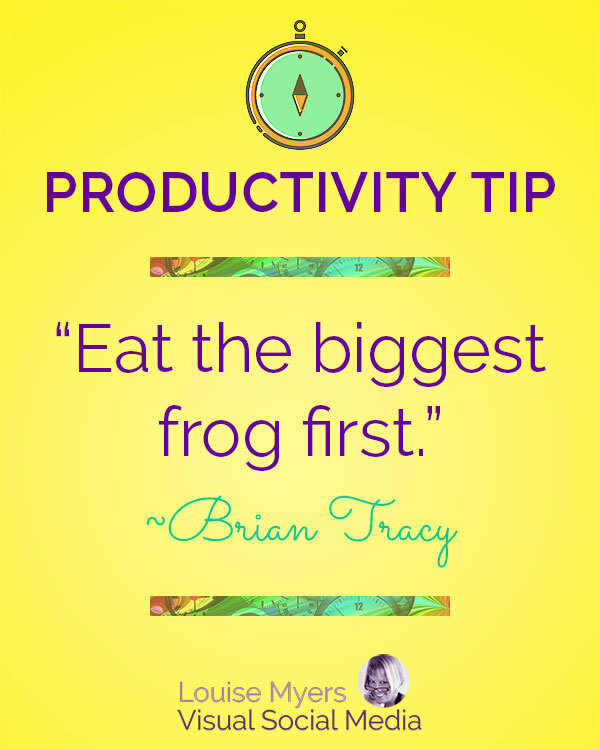 These productivity tips and quotes are inspiring, but when it comes to getting stuff done, there’s nothing quite like a plan! That’s where The Ultimate Productivity Bundle comes in. If you really want to get more done in less time and reach your personal goals faster, this is perfect for you. Check out The Ultimate Productivity Bundle and get 45 eBooks, printable planners and workbooks, eCourses and videos for 95% off when you buy the bundle! Disclosure: IF you choose to purchase the bundle, I will earn a referral fee. Automate tedious tasks. Try scheduling Pinterest pins with Tailwind. 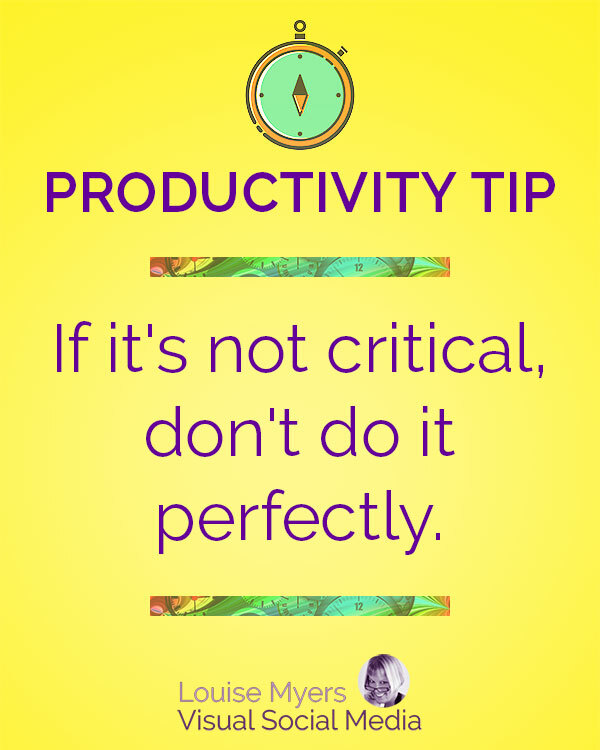 If it’s not critical, don’t do it perfectly. Learn to give up what’s not really important to be more productive. Are you willing to pay someone else to do it? If not, why are you doing it? Use templates for recurring tasks. These easy design tools offer a huge variety of graphics templates. 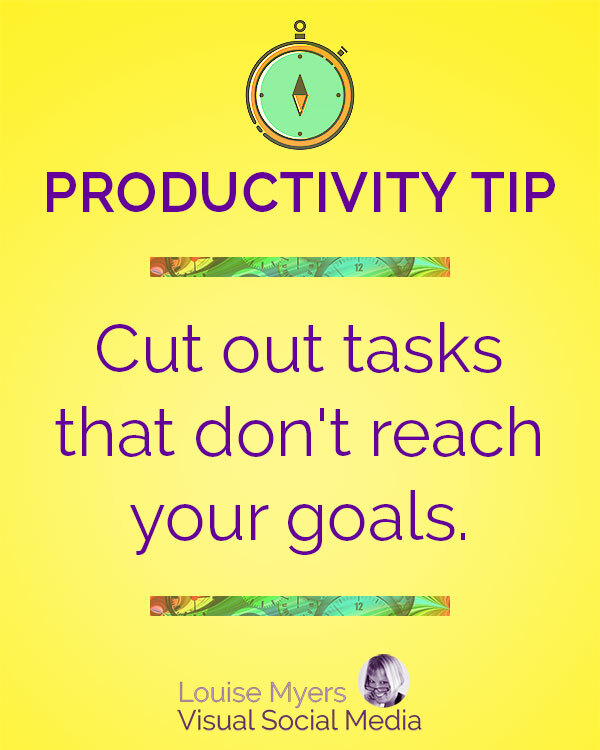 Cut out tasks that don’t help you reach your goals. 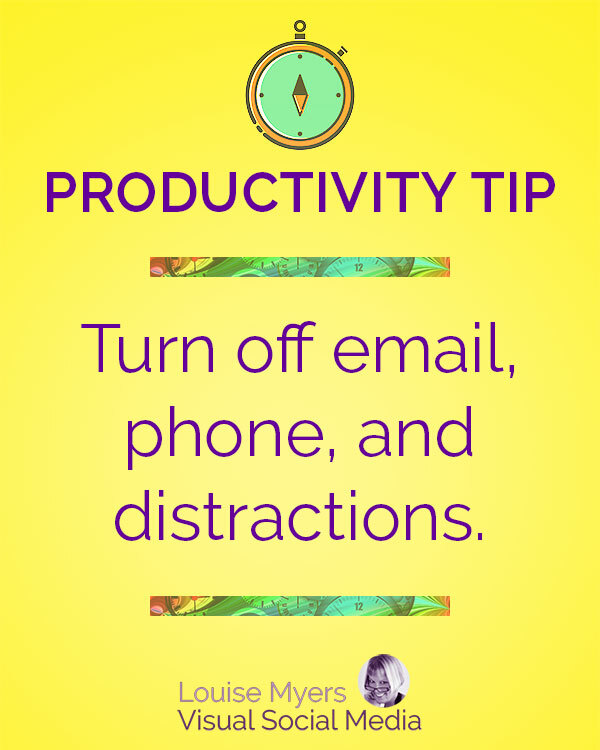 Turn off email, cell phones, and any other distractions so you can focus on one task at a time. Set deadlines for important goals. 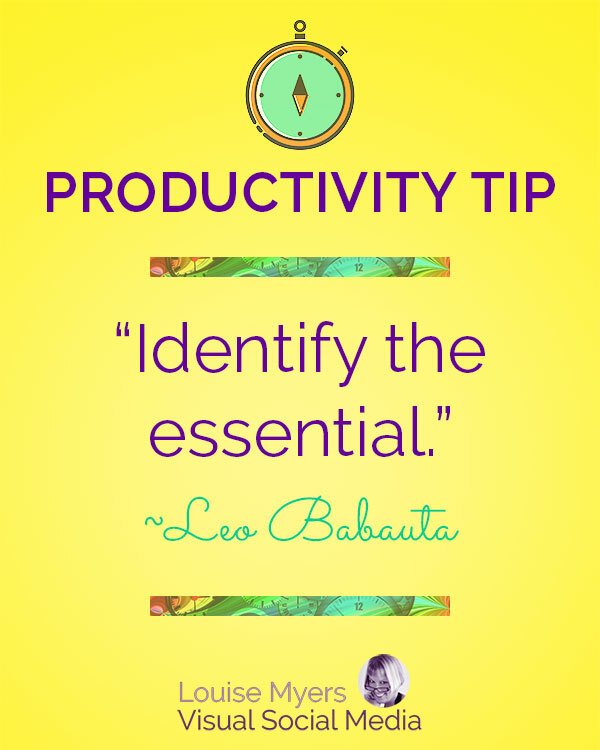 This will force you to work harder and more effectively as you get closer to the deadline. Create a “Stop Doing It” list. Put things on here you can outsource, no longer need to do, or no longer interest you. Become completely aware of when you start doing a task, and become aware of the urge to do something else in the middle of it. 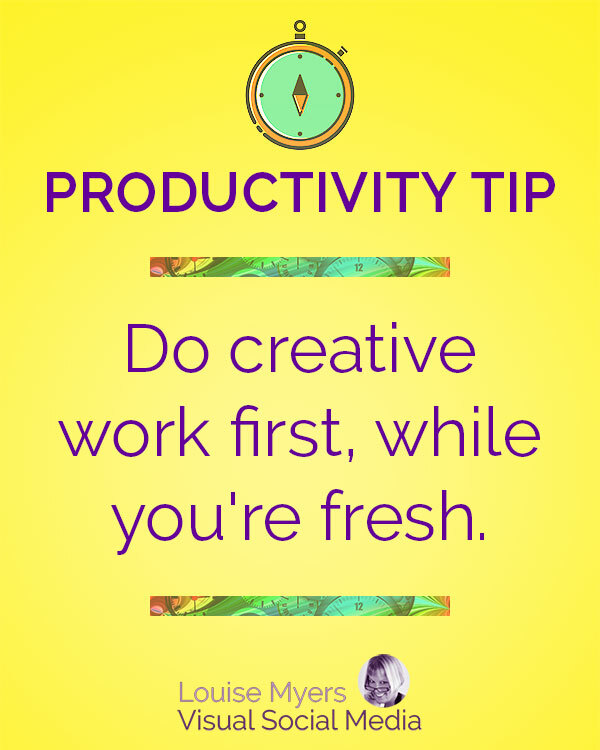 Do creative work first, while you’re fresh and inspired. 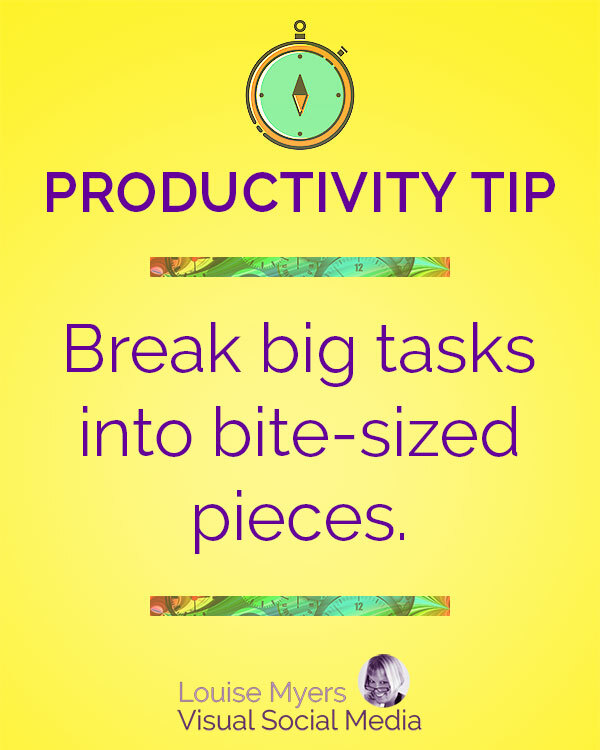 Break big tasks into bite-sized pieces. If you’re feeling unfocused and sleepy, get moving! Outside is best, to get fresh air. Be sure to review and pin the infographics at the end of this article. 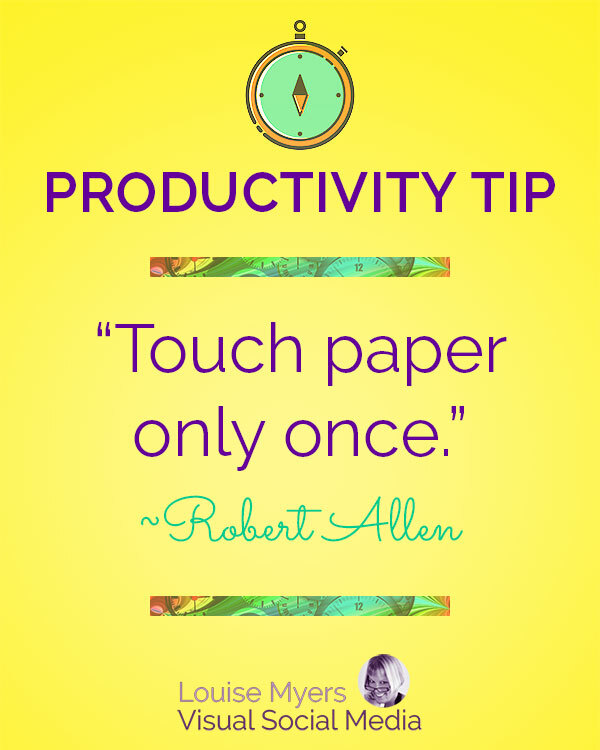 Want more productivity tips? Check out more great articles! What is the Ultimate Productivity Bundle? Tips and quotes are inspiring, but when it comes to getting stuff done, there’s nothing quite like a plan! If you’re looking for ways to get more done in less time and reach your personal goals faster, this is perfect for you. Set clear goals and priorities so you’ll use your time wisely. Create productive routines so you won’t fall behind. 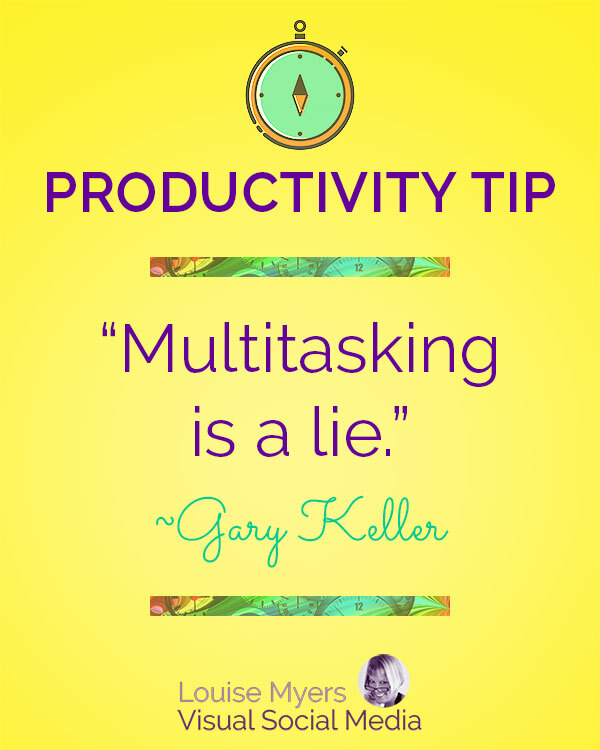 Get started with tasks instead of procrastinating. Deal with distractions instead of getting sidetracked. Find the energy to be productive all day instead of burning out. The result is 46 resources that are realistic, practical, and truly inspiring. Resources that can make your life more joyful and less stressful — at home and at work. Be sure to pin the productivity infographics below! 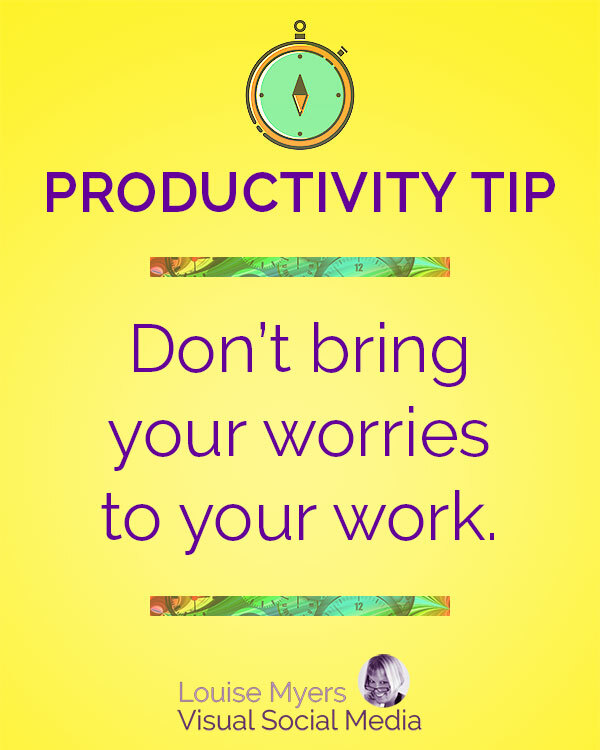 75 Productivity Tips for Work infographic from Wrike. Boost Productivity at Work infographic from Fundera. Lovely ideas, sometimes I find it really challenging to focus on tasks. Usually music helps me a lot.